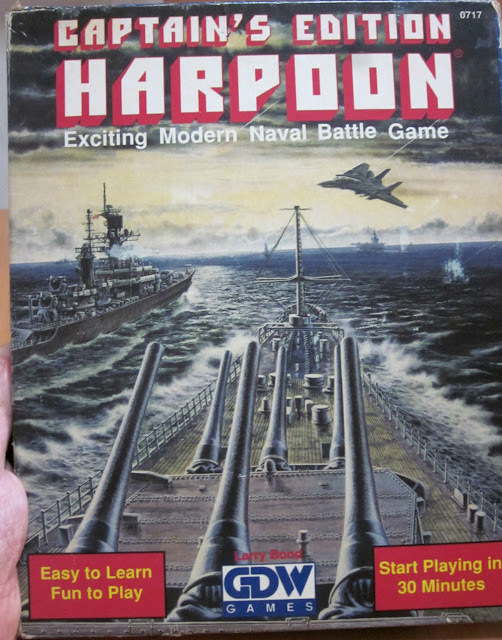 So I just got Harpoon: Captain's Edition, which is a nice little beer and pretzels game released by GDW in 1990. If you're a fan of modern naval combat games and you want something lighter than, say, the Fleet series then this is actually a pretty fun game. It's probably set at just the right angle for introducing a kid or a spouse to wargaming. The first few scenarios are basically just training scenarios. As you read the rulebook and learn more rules, it tells you to play certain scenarios that use them. This is a nice gradual learning curve approach that makes this game even more friendly for introducing non-wargamers into the hobby. I've been playing out scenario 2 of Aegean Strike lately and I've finally made it to a point where I can see a resolution coming along to it. Basically, the Warsaw Pact is set to lose this scenario for a couple of reasons. Just to recap, the objectives in this scenario are for the Pact to capture Istanbul within 7 turns. 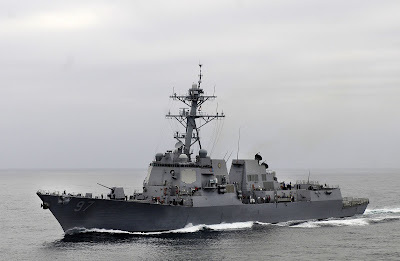 They're fighting against the combined might of Greece, Turkey, and the American Sixth Fleet. I've been playing Aegean Strike for the past several weeks and I'm slowly putting my way through the scenarios. 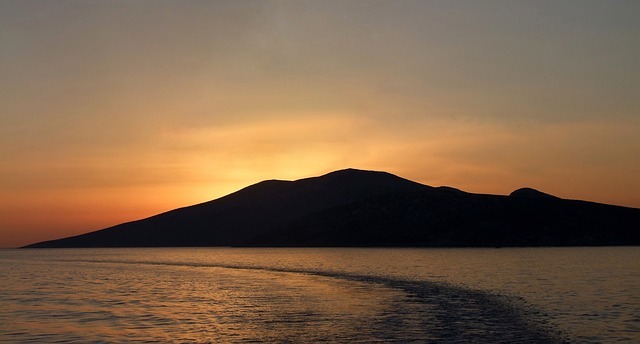 The first scenario featured a battle between the US and Soviets over North Africa. 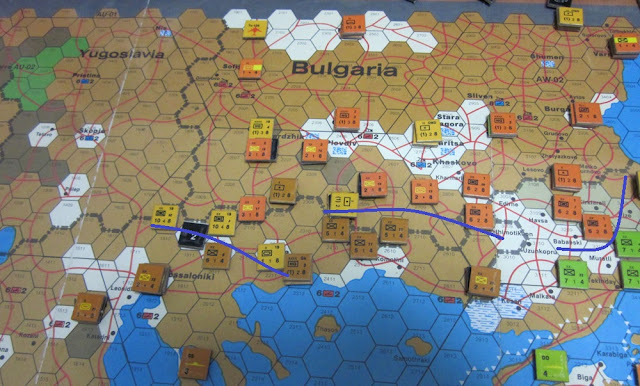 The Soviet player got stomped the first time around but after fiddling with the Soviet setup a little and replaying the scenario, it was a clear win for the Warsaw Pact. Since then, I've been playing scenario 2 from the game, starting and restarting it and trying different things. It has been a long time since I've played the Gulf Strike system and I'm starting to relearn it again, which is no easy task.